I step out into the cool Paris dawn, my trench coat buttoned high to ward off the intrusive chill of the zephyr like breeze as its eddies along the rue de Malte. It’s 5 am and I wait on the footpath for my taxi to arrive. Across the cobbled street is a bistro where two waiters are busily placing tables and chairs on a narrow terrace in preparation for the early morning trade. With cigarettes clenched between white teeth they call, ”Bonjour. Ca va.” Their cheerful greetings a stark contrast to the surly non-communicative grunt received from the concierge as he let me out of my hotel, resentful, I suspect, at being summoned from his couch at such an ungodly hour. It’s been my experience the Parisienne are largely undeserving of their reputation for being unfriendly. I found them mostly courteous and patient with my bumbling attempts to speak school-boy French. If it became too excruciating, they would simply slip into English thus saving me the ignominy of continuing in a language I obviously had no mastery over. Their sense of style is legendary and to be envied. It applauds individuality and ignores the ordinary and the mediocre. Self-expression is encouraged in all things, be it fashion, furniture or food. That’s not to say everyone is elegant or indeed stylish. I did see the unusual and at times the truly bizarre but even then, these citizens of the Ile de France exude a confidence, a self belief by celebrating their individualism. 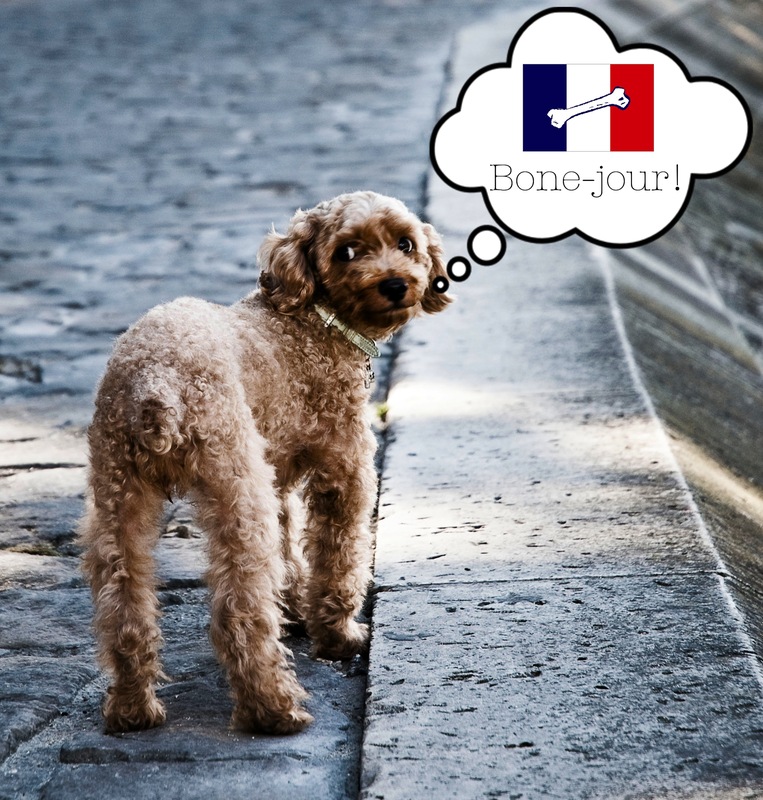 While the average Parisienne may love their dog, they are not so fond of picking up after them. Dog pooh is a major hazard for the squeamish and for the unsuspecting tourist. The Parisienne usually exercise a remarkable pragmatism when dealing with canine droppings. This was succinctly illustrated to me late one afternoon while seated in a cafe on the rue de Rivoli, enjoying a campari and soda. From where I sat, I could see the comings and goings from that wonderful bookshop, Galignani’s. Its proud boast being it was the first English bookshop to be established on the continent. A more enjoyable way to spend a few leisurely hours, perusing its overflowing bookshelves, would I think be hard to find. In front of this venerable bookshop I see a dog and its owner come to a sudden halt .When it becomes evident the dog needs to answer a rather untimely call of nature, its owner quickly pretends urgent business on his mobile phone. In moments, the dog has finished it’s undertaking and the pair hastily move on, leaving behind a rather large and malodorous deposit of dog pooh. Miraculously, it stays undisturbed for a considerable amount of time. Adults stepped over it and children skirted around it. All is well until an immaculately dressed woman, coming out of Galignan’s, her attention focused on her recent purchase and not on where she is placing her feet, puts her Manolo Blahnik-shod foot right in it. With enviable élan, Madame calmly steps out of her shoes, taking the shoe befouled with dog mess, she scrapes the excess muck off on the side of the gutter. That done, she delves deep into her Chanel tote and pulls forth a plastic bag containing another pair of shoes. These are quickly slipped on and the dirty shoes are placed in the now vacant plastic bag and discreetly secreted into the Chanel tote. With a spray of perfume she continues on her way apparently unperturbed by messy canines and their inconsiderate owners. A triumph for pragmatism. I sit in a groovy bar in Le Marais. I order in English, the attractive waiter answers in French. I realize he’s asked me a question. I respond with “Oui “. Not sure what I’ve answered yes to, I soon discover when my drink is delivered. Vodka and Fanta! It’s vodka and soda I wish for. Soda is all embracing in Paris. Coca-cola, lemonade, fanta, in fact all variations of soft drinks fall under its umbrella. It’s at your peril you order a spirit and soda. You must be specific. Unfortunately soda water is an anomaly in most Paris bars and you’re often given sparkling Evian water instead. Not quite the same. One morning I take breakfast at a pretty Boulangerie. I’m seated at a long communal table. Two young men, impossibly elegant in trenches and scarves sit opposite. No English from them and no French from me. We find ourselves, as the French would say, “dans une impasse “. We make do with eloquent shrugs and apologetic smiles. Meanwhile back on the footpath it’s turned 5.15. My taxi is late. It was ordered for 5am. I become anxious. What to do? Summon the concierge? He is already grumpy at having his sleep disturbed so it’s with reluctance I push the hotel bell. Minutes pass and just as I’m about to ring again I hear an irritable “Oui?” The concierge stands on a small balcony above me. ”Pardon Monsieur, but my taxi is late. I ordered it for 5am. Would you please ring the company and ask where my driver is”. A look of impatience causes his mouth to turn downward and his eyes upward, ”They will come” he shrugs offhandedly. My Anglo Saxon sensibilities are alarmed by his Gallic insouciance. ”That maybe Monsieur, but I have a aeroplane to catch and I don’t want to be late”. With a shuddering sigh he moves back inside. I can hear him speaking on the telephone. Moments later he is back on the balcony. ”You order it for 6am!” he cries triumphantly. Before I can protest the contrary, I hear a voice from behind me call out in French. It’s one of the waiters from across the way. They have stopped work and now enter into a spirited discourse with the concierge. A volley of French sails back and forth. I try to interject and demand a new taxi be called. But to no avail, it falls on deaf ears. It’s then I realize there are old rivalries at work between the waiters and the concierge. My predicament has become a vehicle for the waiters to score a point or two against an old foe, Monsieur the Concierge. The spirited verbiage continues back and forth. I am forgotten and all the while time marches exorably on. My anxiety at missing my flight reaches fever pitch. Finally I can bare it no longer. ”Monsieur! Monsieur!” I cry, passionately trying to interject. My blood at boiling point I angrily resort to using the one Anglo Saxon expletive that enjoys universal understanding. ”Monsieur, call another f*%#…. taxi now! !” My outburst silences all parties. The waiters melt away, quietly returning to their duties. Monsieur the Concierge assumes a look of offended hauteur.Using calm and measured accents not unlike one might use when dealing with a deranged person, he says,” But of course Monsieur. I do it right away”. He then closes the shutters with a decisive click but not before I hear him mutter “ Que pouvez-vous attendre de I’Australie? Sublime Vulgarite.“ Suitably chastened, I’m left waiting for my taxi, alone, in the cold Parisian dawn. It’s six am and Hebe lies quietly, willing herself back to sleep, a sleeping mask fixed firmly over her eyes. She had been woken by loud cries from the children next door and their mother’s pleas for quietude. Finally the slam of car doors and the sound of a vehicle reversing down the drive bring merciful restoration of silence. Unfortunately, it comes to late. The ruckus has woken Hebe’s aging Jack Russell terrier, Tom. She could hear his urgent scratching at the bedroom door, signaling a need to be let out. It’s time to attend to his morning ablutions. The day has begun. Twenty minutes later, Hebe is seated on the her verandah reading a newspaper. The table is set with a pot of green tea, strawberry conserve and toast. She is engrossed in a rather grisly account of murder most foul – a man murdered his wife, then posts the poor women’s earthly remains, piece by piece, back to her family in Croatia – Hebe ignores Tom’s insistent barking. Only when he loses patience and places a damp soft weight in her lap does she finally takes notice. There are some moments before Hebe’s brain can compute the shocking reality of Tom’s offering. She shrieks in revulsion and stands abruptly, causing the breakfast paraphernalia to rattle violently. Tom seek seeks refuge under the table; confused and frightened by Hebe’s reaction. The object is now on the floor. Hebe nudges it gingerly with her foot. Her worst fears are realized, as is the awfulness of their consequences. “Tom, you’ve murdered Calypso,” cries Hebe in horrified accents. Calypso, the angora guinea pig and much loved pet of the children next door, is indeed dead. It’s once lustrous, golden coat now matted with earth, grass and saliva; a victim of an awful and violent death. Tom backs further under the table as if to distance from the accusing hysteria. Stifling her revulsion, Hebe quickly examines the body. Thankfully, it’s all in one piece: no limbs severed or gaping wounds. An idea born of desperation – and a desire to spare Tom a possible death sentence – suddenly presents itself. She hurriedly makes her way to the bathroom. Hebe fills the hand basin with warm water, lowers the still pliable body of Calypso into it. She works a few drops of shampoo into the matted coat, a lather forms and is quickly rinsed off taking with it the evidence of the horrific crime. Then, after blow-drying the now clean coat to it’s former glossy fluffiness, she sprays Chanel No. 5 – an insurance against the cloying odour of mortification. Urgency is paramount. The family may return home at any moment. Clutching the newly marcelled Calypso under her arm, Hebe sprints across the garden and climbs the fence into her neighbour’s yard. No mean feat when you consider she’s wearing six inch Louboutin stilettos. Calypso’s cage sits upended, further proof of Tom’s determination to commit a dastardly deed. Hebe glances around for prying eyes. The coast clear, she quickly arranges the dead guinea pig in a manner that suggests a peaceful exit from the mortal coil instead of the brutal one she most fears. Back on the verandah, fortified by a stiff brandy and tea, Hebe waits. It’s not long before the family returns. With shaking hand, Hebe sprays Chanel No. 5 on her handkerchief and begins to mop her perspiring brow. The suspense is dreadful. Hebe fights the urge to confess all to the family. Tom needs her to remain firm – his life may depend on it. Almost at breaking point, Hebe suddenly hears one of the children: “Mummy come quick. It’s Calypso.” What follows is pandemonium. There’s a cacophony of raised voices – children and parents – all fighting to be heard. Finally, silence. Moments later Shirley, the children’s mother appears at the fence and calls for Hebe to join her. “The most perplexing and upsetting thing has happened,” says the visibly distressed Shirley. Hebe says nothing her face a careful study of concern. With that, Hebe turns and makes her way back towards the Verandah, the Louboutin high heels making hard work of it as they gouge deep holes in the lawn. At first I wasn’t sure if her statement was rhetorical, or indeed there was an expectation for me to respond. Fortuitously, the awkward moment is interrupted by the arrival of the waiter. “Your sandwich sir”. I smile a vague apology in her direction and give the meal my full attention. I’m sitting in New Farm Deli. It’s lunch time and it’s packed to the rafters. Most of the diners are sheltering inside, endeavouring to escape the full blast of the hot summer day; the press of such a large number of bodies making it only marginally cooler inside than it is on the terrace. At least there, a zephyr-like breeze is in evidence, enough to lift lank fringes from perspiring foreheads. In spite of the oppressive humidity, the old lady looks coolly elegant, her white hair piled high atop her head. It’s held fast by a clasp bedecked with fragrant frangipanis. She wears a linen shift the colour of watermelon and waves a silk fan languidly back and forth in front of her face. ‘’Well?” she demands, the imperious tone betraying her impatience at my cautious evasiveness. Reluctantly I abandon my lunch. The face before me is finely boned and austerely beautiful. Why is it I seem to attract the ire of irascible old ladies? I would wish myself anywhere other than being seated here in the company of a determined old bully. “It does seem to be a lot hotter than normal, at least for such an extended period of time,” I say unthinkingly. My interrogator interprets this unfortunate response as a deliberate challenge to her point of view. Not wanting to incense her further, I remain silent and give my hero sandwich the full attention it deserves – although I may well have been ingesting sawdust for any pleasure I received from the eating of it. I find myself smiling at her reminiscences for I too remember the western summer sun liquefying the tarmac of the roads. It was great sport to chase ones terrified sisters with great oozing lumps of tar, the threat of depositing it in their hair causing them to run shrieking to our mother for protection. Perhaps the woman has a point: those summers of my youth were long and hot, regularly reaching an energy sapping 110 degrees Fahrenheit, 43 Celsius by today’s measure. The only respite from the sun’s intensity were wide shaded verandahs and the delicious sweetness of cold watermelon. No one had the luxury of air-conditioning and the great vulgar halls dedicated to mammon – shopping centres – where the great unwashed gather in overwhelming numbers to escape the summer heat, were horrible things of the future. Perhaps society has become more effete and we are less robust than our parents and our grandparents, therefore more susceptible to the vagaries of climate. Maybe we are too ready to accept the lurid headlines in the papers and the televised news, screaming “the end is nigh” and that global warming or (to use the more modern description) climate change is responsible for every hot day, cold day, drop of rain and falling snowflake. My amused reverie is rudely interrupted. “You young ones need to toughen up and employ some common-sense at staying cool,” says the old lady with a return of her usual asperity. I’m back in the New Farm Deli. The woman not done with her forceful opinions continues, “It’s been my observation young people don’t wear enough clothing in summer. All that flesh exposed to the relentless and ravaging sun. Small wonder you’re discomforted by the heat”. Perhaps sensing my patience and good manners are almost at an end, she suddenly stands and in preparation for departure, begins rummaging through her Chanel tote. She is remarkably tall and with her long attenuated limbs, I’m suddenly struck by her resemblance to the octogenarian model Carmen del’Orefice. I am immediately and completely disarmed for her smile is wonderful and belongs to a woman who despite her advanced age is confident of her beauty and the ability to still charm. ”Not at all. It’s been most interesting,” I protest untruthfully. I’m surprised how transforming a beautiful smile can be and how quick one is to forgive or overlook the boorish behaviour of an attractive person. “Oh! I don’t believe you,” she says laughing. And then shockingly, an eyelid drops slowly over a brilliant blue orb. She affects a roguish wink, “Just between you and me , this relentless sun is for exoskeletons. We endoskeletons should stay inside with a cold drink, lots of them; and in my opinion, all of them Gin and Tonic!” With those words and a wicked laugh, I’m left mercifully alone.